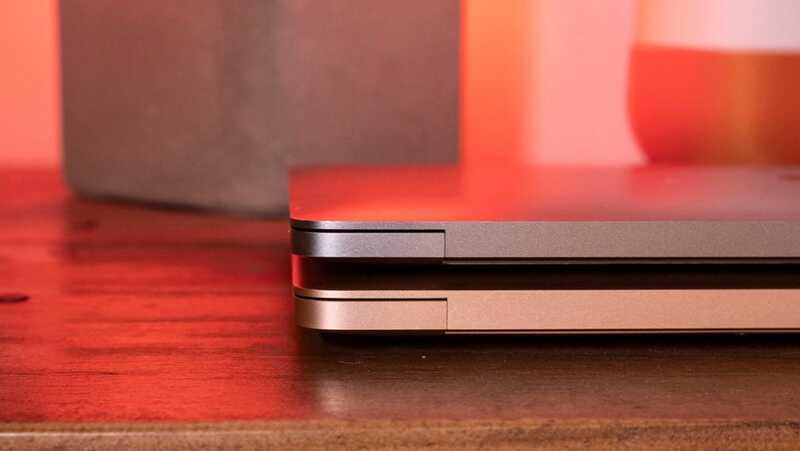 The MacBook Air is an icon: A wedge-shaped computer fashioned from a block of aluminium into a device so thin it can fit in a paper envelope. But other laptop makers have riffed on Apple’s idea in the last ten years. Instead of aluminium (or in the case of the new Air: recycled aluminium), some companies are using materials like magnesium, carbon fibre, and even leather. Apple’s iconic design is now old, and Apple’s commitment to it makes the new MacBook Air a fine laptop that millions of people will buy. But maybe they shouldn’t. 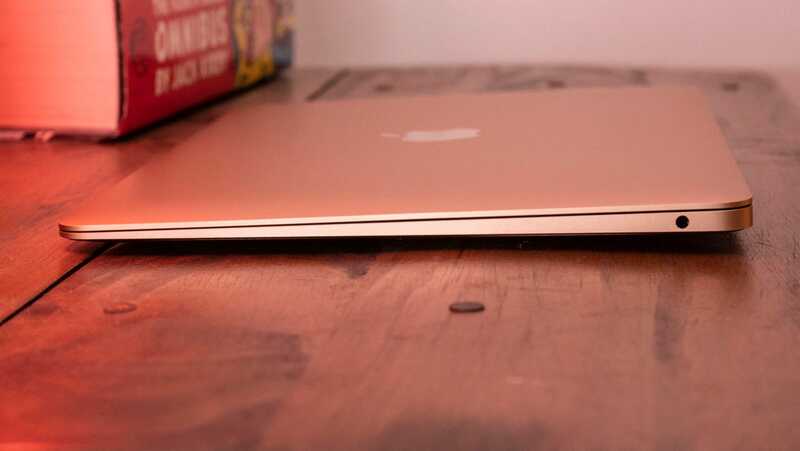 We’ve been wary of the new MacBook Air since it was announced. It’s a good-looking laptop, but following so closely in the footsteps of previous versions of the MacBook that it seems like it should have been introduced years ago. After using it for the last week, that opinion hasn’t changed, but I’d also note that starting at £1,200 this a pretty bad deal that serves as little more than a moderately affordable entry point into the macOS ecosystem for people who need an Apple laptop no matter what. At least it’s a better deal than the old MacBook Air, which is still for sale, by the way. It goes for £1,000. If you want the new design, you’ll need to pay a minimum of £1,200 for a laptop with an 8th-Gen i5 Y-series processor, 8GB of RAM, and a 128GB SSD. Apple's redesigned MacBook Air. Now with more power! It's pretty, light, and almost affordable for a Mac. There are better Mac laptops, and cheaper Windows ones. Apple’s decision to go with a 128GB SSD standard is a poor one. Sure Dell sells an XPS 13 with a 128GB SSD, but it also has the sense to charge well under $1,000 for that laptop. Apple meanwhile wants you to pay £1,200! The laptop we reviewed (which is this £1,200 config) only had 76GB of storage left after we installed Photoshop, Geekbench 4, and Civilization VI. Upload a few years of photos and a couple of movies, and you will find that 128GB woefully inadequate. Going up to 256GB, which is still not a lot of storage for a daily driver laptop, will cost another £200, making the total £1,400. That’s a lot of money, and when the original MacBook Air commanded such a high price tag, it made sense. No, it wasn’t the fastest laptop, and it didn’t have the best battery life, but the original MacBook Air was impressively thin for its time. The new one is not. Okay, it’s wedge-shaped. So it’s only .16 inches thick on one side, and yes, that is thin. But on the other side, it’s .61 inches thick—thicker than any MacBook Pro currently available. The Air also weighs 2.75 pounds, and that’s only a few ounces lighter than the MacBook Pro’s 3.02 pounds. The wedge shape means at least one side is impressively thin. The other side is actually thicker than the more powerful MacBook Pro. The Pro has 4 Thunderbolt 3 ports to the Air’s 2. But they both have headphone jacks. So it might be small, but not impressively so compared to Apple’s most powerful laptop. The wedge design also hobbles it. 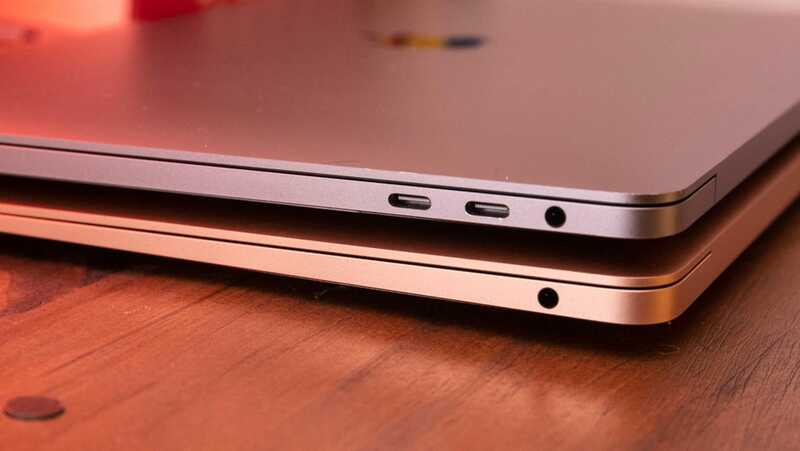 In laptops, space is precious, and on the Air, a lot of space is wasted so it can be super thin on at least one side. That leaves less room for sensors, fans, cooling elements, and batteries. That last one is what hobbles the MacBook Air compared to its slightly thicker cousin, the Pro. 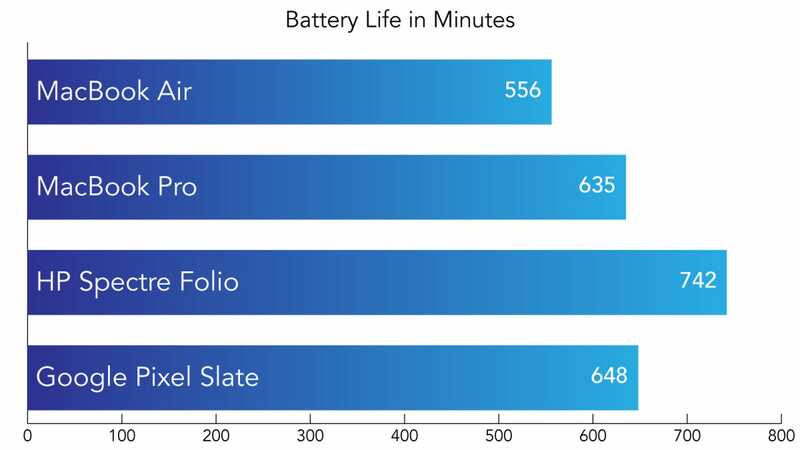 In our battery test, in which we stream a YouTube video after setting the display’s brightness to 200 nits, the Air lasted 9 hours and 16 minutes. The Pro lasted 10 hours and 35 minutes—which Apple told us would be expected. But compare that to the HP Spectre Folio, another overpriced Y-series laptop that puts a premium on design. The device shrank the motherboard down to fit more battery in, and consequently, it lasts a whopping 12 hours and 22 minutes. Even the Pixel Slate, another Y-series product, lasted a fair 10 hours and 48 minutes. 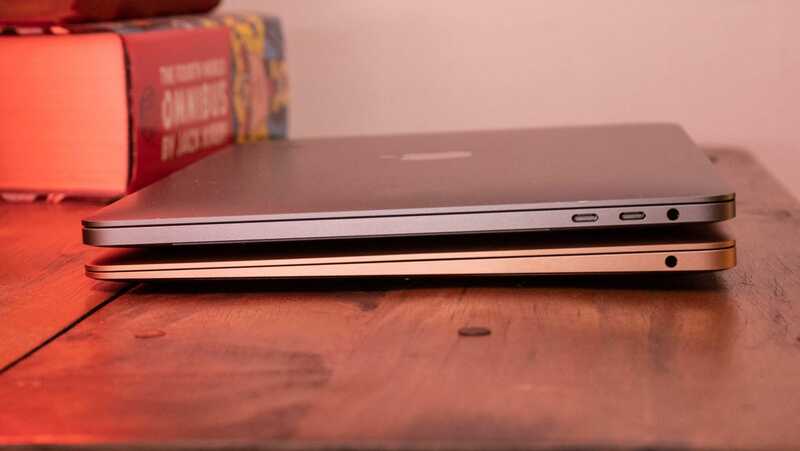 The MacBook Air’s 9-plus hours might not be awful, but compared to those devices it seems like Apple made a trade-off for the wedge design, and it won’t be worth it in the long run. Minutes until the laptop powers down while streaming a YouTube video. The display brightness is set to 200 nits. 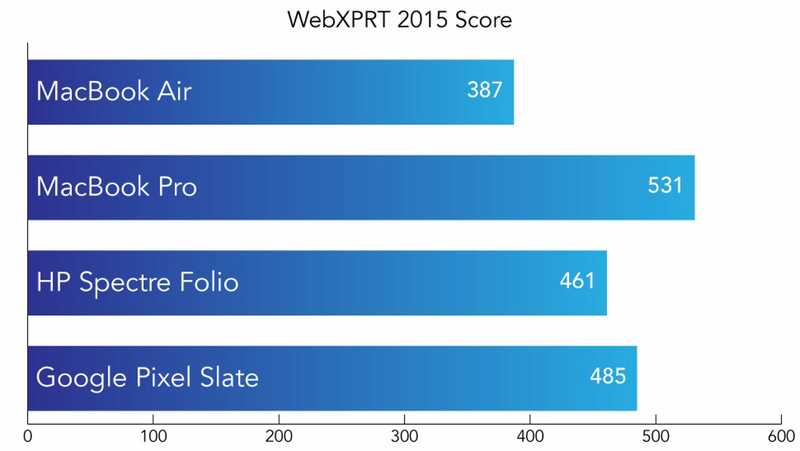 The WebXPRT 2015 benchmark approximates tasks like resizing images in the browser or managing spreadsheets. A higher score is better. As for speed, the Air is perfectly fine. 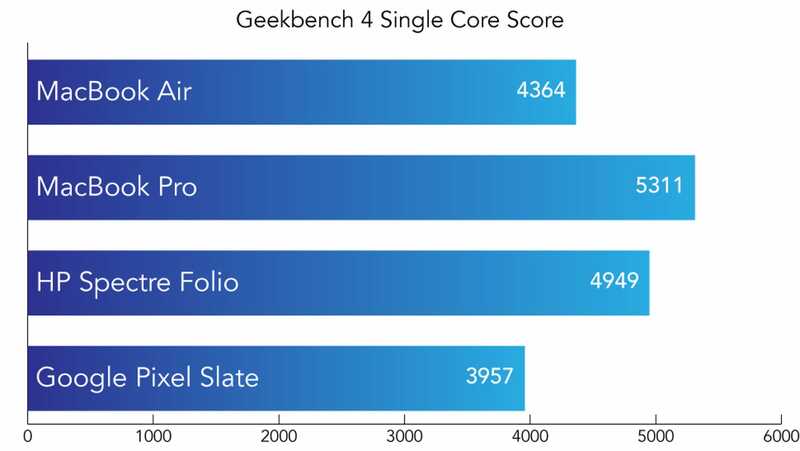 Y-series CPUs are slower than the U-series found in Dell’s XPS line and HP’s other Spectre products, and glacial compared to the HK CPUs found in the MacBook Pro. So the Air won’t win any races, but it’s not horrifically slow either. It has an i5 processor, while the Spectre Folio and Pixel Slate are both i7 devices. 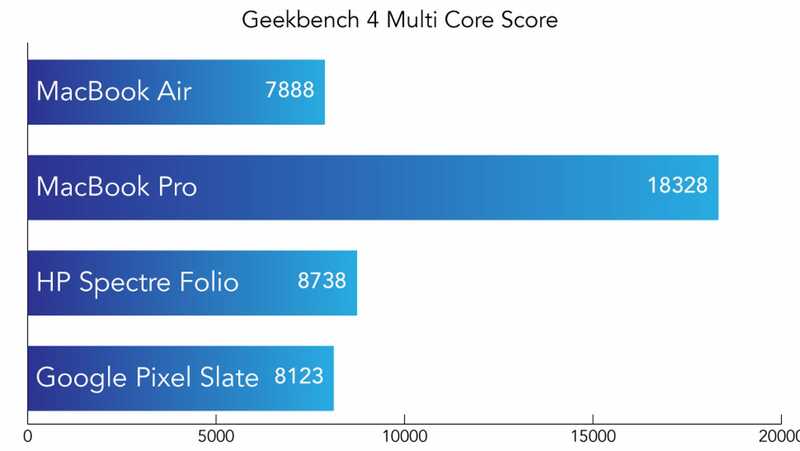 So it did just a little worse than they did on Geekbench 4 and WebXPRT 2015. 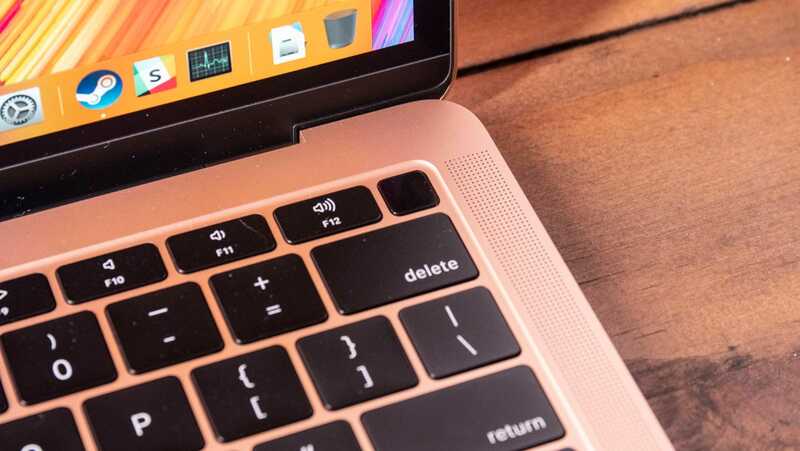 Meanwhile, the Touch Bar MacBook Pro has one of the fastest CPUs available in a 13-inch device, so it also continues to be one of the fastest laptops available, for a Mac, Windows, or Chrome user. The power button on the new Air doubles as a Touch ID sensor, and it is a very welcome change that allows you to easily pay for stuff online through Apple Pay, as well as log into your laptop with a tap. The keyboard is the same kind found in the latest Pro. So while key travel is shallow, the keyboard itself is less susceptible to crumbs and has a nice little “plonk” noise as you type. So for an extra £400 you get one of the fastest laptops made right now. Yes, the Air is an icon, but the Pro continues to be the Apple laptop that makes sense to me. Apple laptops aren’t about what you can afford right now. 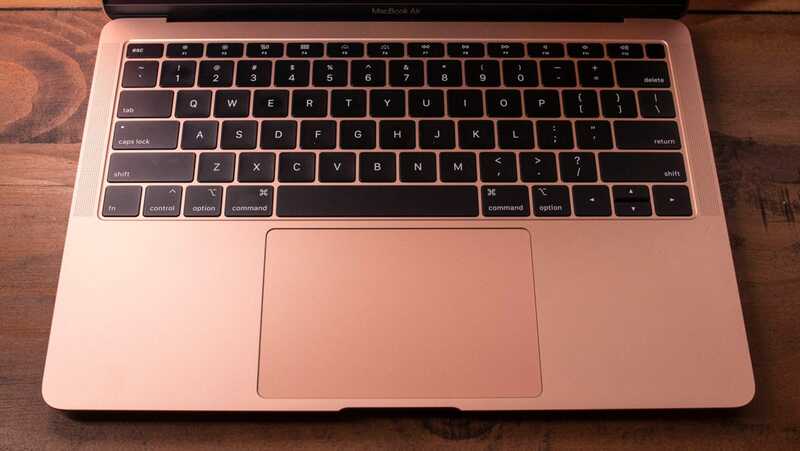 Apple laptops are intended to be luxury devices that you use for three or more years and then sell on eBay, noting how nicely they held their value compared to other laptops, or even phones. And they’re intended to push laptop design further. That has long been their appeal to me. Even when the guts are outdated, the rest of a MacBook is pushing computer design forward. The Touch Bar may have its flaws, and it’s not quite the essential device feature it could be, but at least Apple was trying. With the Air, it doesn’t feel like Apple is trying. It’s not a radical departure like the HP Spectre Folio with its weird hinge and all leather body. It’s not shaving bezels down to a couple of millimetres like the Dell XPS or re-imagining the location of the webcam like the Huawei MateBook X. It’s just the Air made for 2018. For a lot of people that might be enough—a cheap enough MacBook with good enough performance and battery life. But as an Apple fan for decades, who still looks at the Pismo with awe and the original G4 with fondness, and yes, even defends the Touch Bar on a regular basis, I find myself thoroughly underwhelmed by the MacBook Air. It’s unadulterated mediocrity from a company that excels in luxury and ingenuity. Most people just want a laptop that works with their iPhone, or that shows off their love of design. Most people just want a laptop that uses the same operating system as their big expensive Apple-made workstations. And they want that product not to cost the sun and the moon. And the new MacBook Air accomplishes all of those things. It’s enough for most people, and if you can find it on sale for £1,000 its a decent deal. For everyone else, including me, there are better choices out there. 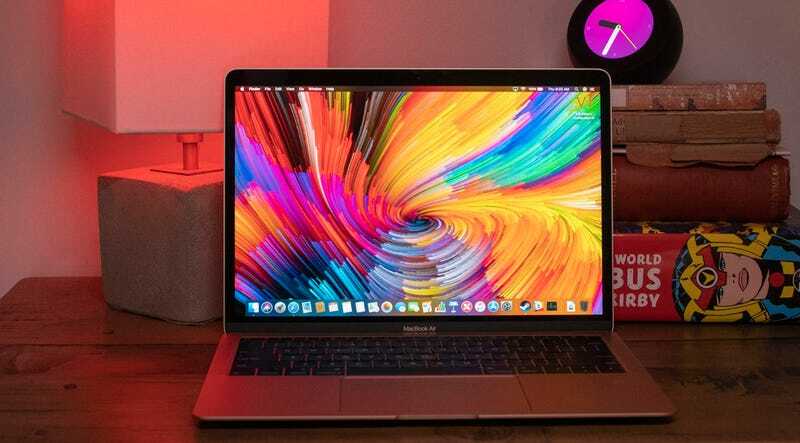 For £400 to £600 more the MacBook Pro with Touch Bar doubles the speed and storage while adding a brighter and more vibrant display and an hour of battery life. Or for the same price as the Air, you could get the excellent Huawei MateBook X Pro (if you can find it) or a Dell XPS 13. But if you really need a MacBook and are willing to spend just enough to get just enough speed, then you’re in luck. The MacBook Air is spectacularly sufficient.. The display is pretty, but not as pretty as the MacBook Pro’s. If you can manage to save a little more cash, you’ll be much happier with a Pro.